Websites are like cars: they need maintenance. That may come in the form of updating the CMS, security or plugins. The same goes for SEO. A great SEO strategy will always need reviewing and constant scrutiny of analytics, in order to ensure that you remain on the intended path. To garner the most success from search engine traffic, a fully-fledged campaign is the best bet, where an individual or team can dedicate the correct amount of time to deliver results. SEO audits are a slightly different beast. Audit. A word associated with redundancies or the tax man knocking at your door. It’s a word devoid of happy connotations. But don’t be afraid, they can be very helpful. So where do they fit into the SEO ecosystem, and how can you tell if your website needs one? 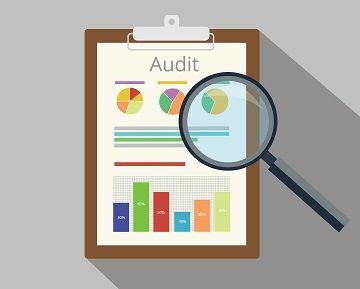 What’s involved in an SEO audit? Carrying on with the car metaphor, not all cars are the same. The fundamentals might be the same: cylinders, internal combustion, suspension, gears, wheels. But a … [Read more...] about Does your website need an SEO audit? Ask the Experts: What’s Changed After Panda 4.0? At the end of May, I wrote a round-up post of expert opinions on the latest big Google updates: Panda 4.0 and Payday Loan 2.0. Now that it’s been a month or so, I thought I’d ask another group of experts for their opinion on how the update has continued to be reflected in their clients and their own SEO progress. I asked our experts the following: “Now that Panda 4.0 has been out for about a month, have you seen any long-standing changes to website traffic or SERPs? If so, what is your recommendation for first action steps to make the best out of this Google update?” From Marcus Tober, CTO and Founder of Searchmetrics: Unlike with other recent updates, I didn’t see many big changes after the release of Panda 4.0. A couple of well-known brands that landed on the loser list recovered, like yellowpages.com, which returned to nearly the same visibility it had before. When there are quick recoveries like this, it usually means that Google is still tweaking the … [Read more...] about Ask the Experts: What’s Changed After Panda 4.0?